Sunscreen is supposed to be good for you, right? 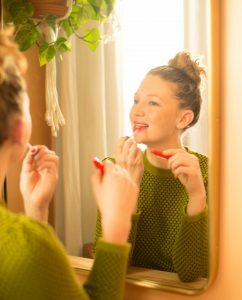 Apply it every day and you can reduce the signs of aging and chances of getting skin cancer. Unfortunately, it’s not all good. 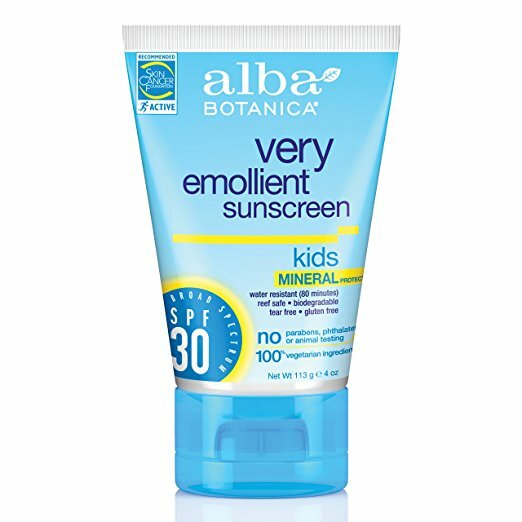 There are active ingredients within most sunscreen products that can cause harm. That’s why I started a search for the best natural sunscreen. And I’m happy to say that after years of looking, I’ve finally found an effective sunscreen without toxic ingredients. It’s DERMA E Natural Mineral Sunscreen Broad Spectrum SPF 30. Luckily, most mineral sunscreens do not include these potentially dangerous ingredients. If you want a safer sunscreen, you should look for products that include zinc oxide and titanium dioxide. These minerals act as a physical barrier and do not penetrate the skin. While that’s good for safety reasons, often that lack of penetration means you’re left with a stubborn white film when you apply mineral products. Your hormones may be protected, but you look like Casper the ghost. Like Goldilocks, I kept looking until I found a natural sunscreen that is juuuust right. While the extra time it takes to rub in safer mineral sunscreen is worth it for me, some just won’t rub in no matter how hard I try. But like Goldilocks, I kept looking until I found a natural sunscreen that is juuuust right. And I’m happy to say I have! 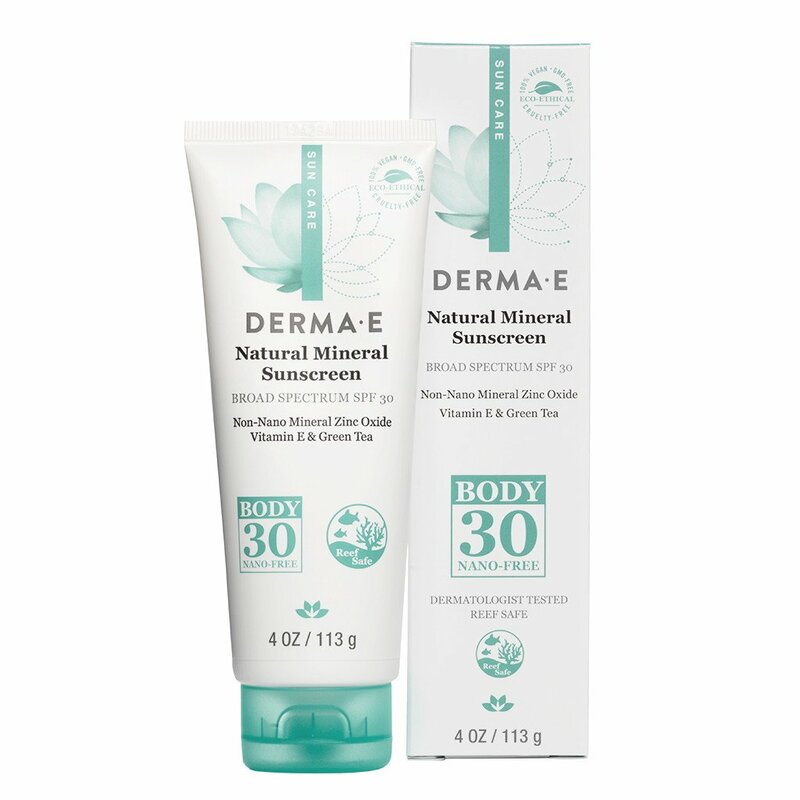 It’s DERMA E’s Natural Mineral Sunscreen Broad Spectrum SPF 30. It goes on smoothly, isn’t too greasy, and does the job of protecting me from UV rays. DERMA E’s product definitely tops my list of mineral sunscreens. But keep reading to find out how it stacks up against the other five mineral sunscreens I’ve tried. I’ve ranked them all from best to worse below, based on how they work on my Caucasian skin. Hopefully, this — along with a wide brimmed hat and some shade — will keep you safe from both the sun and harmful chemicals this summer. Gets a 1 on EWG, meaning it includes safe ingredients. White film rubs away easily. Plays nice with makeup, including liquid foundation. Not greasy, but also doesn’t leave skin dry. Can use body sunscreen on the face as well, meaning you just need one product (the only difference in ingredients between body and face products is that the body version includes sunflower seed oil). There is some white film that you have to rub in diligently, but less than other mineral sunscreens I’ve tried. The tube isn’t that huge, so if you plan to go on a long vacation or use it for the whole family, you’ll want to buy a few. Gets a 2 on EWG, meaning its ingredients present a low hazard. It’s possible to rub in white film. Not as moisturizing as DERMA E’s product. Doesn’t rub on as easily. Gets a 1 on EWG. Leaves a white cast that is difficult to rub in. Is still visible under makeup. Thick composition feels heavy on the face. Effective at blocking the sun. Has staying power: it doesn’t wash off too easily if you’re in and out of water. Almost impossible to get all the white film away. Doesn’t play nice with makeup. Better for your body than your face. Does not include oxybenzone or octinoxate. Difficult to rub in and leaves a stubborn white film. Messy spray bottle. The product ends up on my clothes and on my bathroom mirror and walls somehow! The mess is the biggest deal breaker for me. Very hard to rub in. Feels like it’s slipping off your skin. Leave a stubborn white film. Not effective at blocking the sun. I got a bad sunburn using this one. The DERMA E mineral sunscreen is now part of my skincare routine. It works well under my everyday makeup look. I honestly can’t believe it is a zinc sunscreen!